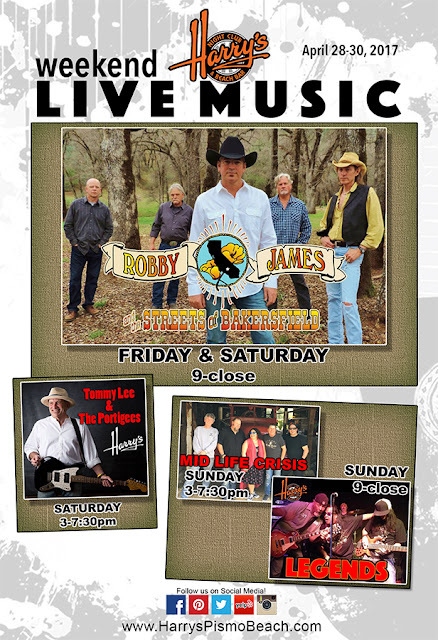 This weekend, Harry's is excited to bring back as our weekend headliner Robby James & The Streets of Bakersfield Friday & Saturday night 9-close ($5 cover). Robby James & The Streets of Bakersfield is a band that is keeping alive the traditional country sound that originated out of Bakersfield, CA. We've also got music at 3pm on Saturday by Tommy Lee & The Portigees (classic rock covers), and on Sunday we have 2 bands, Mid Life Crisis 3pm-7:30pm and the Legends 9-close, both awesome rock/classic rock cover bands! Great music all weekend! See you in Pismo Beach! 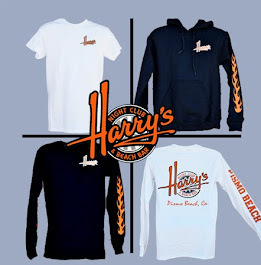 Check our Band Calendar any time right here on our website or on Harry's Facebook page.